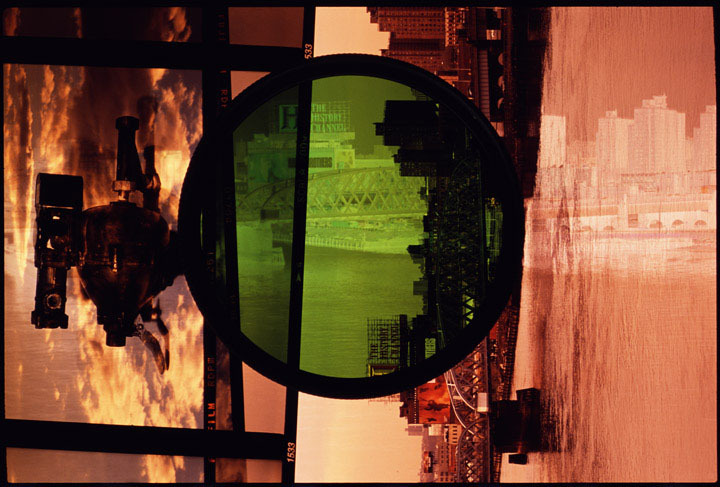 The image contains still photos of sunsets on the East River, advertisements for “The Band of Brothers,” a McDonald furnace flush valve, and color negative material of high rise buildings reflected in the water. H: 32 in. x W: 40 in.